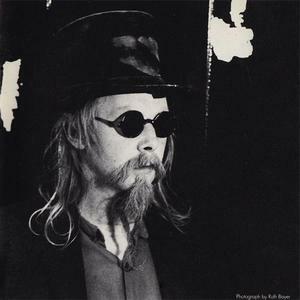 Nurse With Wound is a London, UK based music band, formed in 1978 by Steven Stapleton, John Fothergill and Heeman Pathak. Their early recordings, all made quickly, were heavily influenced by free jazz and krautrock and were generally considered industrial music, despite the objections of the group. By 1981, only Stapleton was left from the original trio and he now regards 1982's "Homotopy to Marie", as being the first proper Nurse With Wound release. There are now over 30 full length NWW titles. By 1981, only Stapleton was left from the original trio and he now regards 1982's "Homotopy to Marie", as being the first proper Nurse With Wound release. There are now over 30 full length NWW titles. Stapleton's fondness for dada, surrealism and absurdist humor are demonstrated in much of NWW's output, which, though it draws directly on nearly every musical genre imaginable (from cabaret music to nursery rhymes to John Cage to The Beach Boys to krautrock to pop music to ambient music and Captain Beefheart) retains a distinctive and recognizable aura. Musique concrete may be the most prominent touchstone, due to Stapleton's frequent ? and often humorous ? use of creative tape loops and editing. Athough NWW has a long and illustrious list of collaborators (most notably David Tibet of Current 93), at time of writing, NWW is effectively a duo of Stapleton and Colin Potter, the latter having first worked with NWW on 1992's "Thunder Perfect Mind" when it was recorded at Potter's ICR studio. Those interested in learning more should research the infamous "Nurse With Wound list" (see also the nurse with wound list tag on Last.fm). It is a list of band names of NWW's obscure influences and it has become a kind of guide for those seeking fringe music of all kinds.